Underwood’s humorous triptych, published in the New York Tribune on September 8, 1912, features three of the four presidential candidates (only Eugene Debs is missing): incumbent William Howard Taft astride an elephant, TR in the center riding a moose, and Woodrow Wilson riding a donkey. 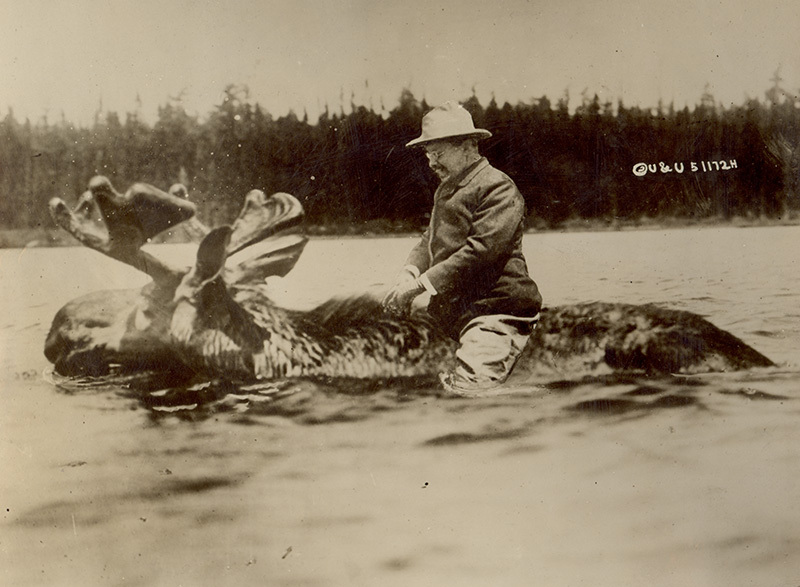 Underwood appears to have cut out an existing photograph of TR riding a horse, and carefully pasted it onto an image of a swimming moose. Under closer examination, one can see that the focus and shadows on TR do not match the moose. Also visible is the white line scratched or painted on the photo to approximate a ripple made by TR’s leg in the water. So while it would be nice to think that TR charmed a moose into giving him a ride, unfortunately that was one feat he never managed. 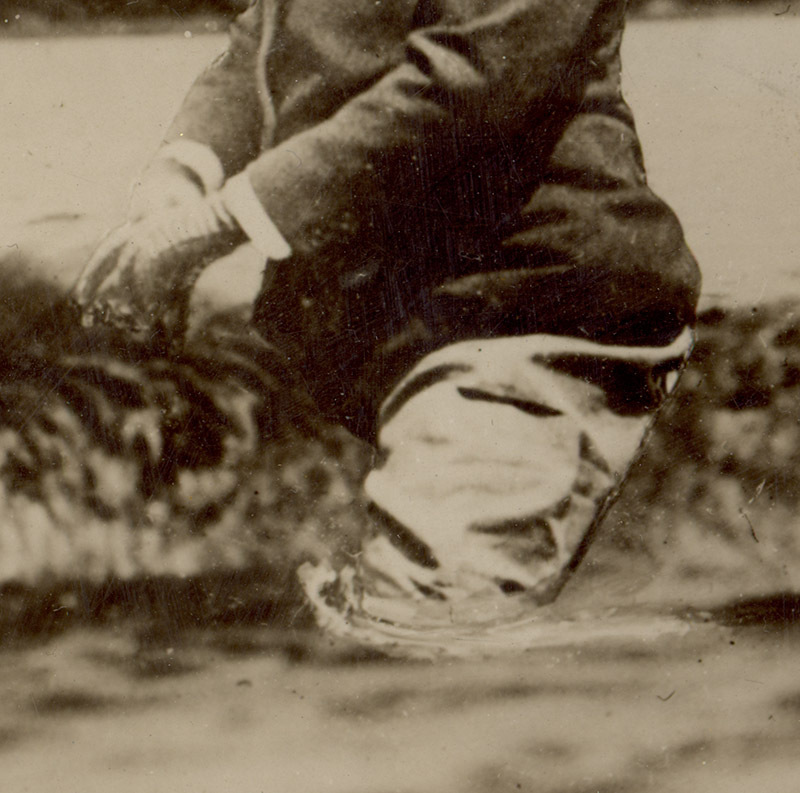 Roosevelt definitely lived a venturesome life prior to and after his presidency. I recently read “The River of Doubt: Theodore Roosevelt’s Darkest Journey” by Candace Millard, Fantastic. The picture of Roosevelt riding the moose is very well done considering the technology available 100 years ago, but common sense leads to the conclusion of a fake. But I never thought about the purpose of the photo in the context of the 1912 presidential election. Though fuzzy the cartoon makes it clear, representing three political parties as elephant, donkey and moose. Great post. Congrats Heather. Very good sleuthing! Obviously a fake. The democrat is on the right and the republican is on the left!